Exhibiting Archives - Idea International, Inc.
Home » Archive for category "Exhibiting"
Sometimes life can turn on a dime. One minute you’re skipping through your day. But before you know it, fate, weather, or even a change of mind can leave you scrambling to regain your equilibrium. I recently lost my balance – albeit temporarily – at the Tokyo Game Show. “if you’d have asked me whether or not it was possible to rotate an entire booth – and a 20-foot tower to boot – in less than five hours, I would have said you were crazy.” Chris Dorn, President Idea International, Inc.
My company, the exhibit-design and fabrication firm Idea International Inc., is based in Osaka, Japan, and specializes in helping companies exhibiting in the Asia-Pacific region. For this particular show, my team and I were working with a major player in the gaming industry. Several months before the event, we’d devised a roughly 50-by-70-foot island stand featuring a 20-foot-tall central tower comprising mostly cladded truss topped with a massive screen to display gaming content. We also secured a prime booth-space location at front of the hall, and the screen faced the entrance so everyone would surely see it as they came in. Around the tower, kiosks could offer attendees myriad gaming experiences. Currently, Japan is preparing for the 2020 Olympics. Tokyo’s The Big Sight will be one of the main venues for the games. The Olympics are creating excitement and a visitor-friendly atmosphere that carries over to trade shows. For example, when you arrive in Japan, don’t take the $100-$200 USD taxi ride from the airport. Now you can buy the “Greater Tokyo Pass” at the airport (either Narita or Haneda). Only available to foreign visitors, the pass allows you to take unlimited rides on railroads, streetcars, and buses for three days at a single price. Airbnb has taken off in Japan, and visitors are finding the chance to see how “real people” live appealing. Search for a place to stay on Airbnb.com, just as you would at home. Does getting lost and exploring a city appeal to you? Bike rentals are extremely popular either from agencies scattered throughout the city or, more and more commonly, from your hotel. The Japanese are in love with baseball, so get out of the exhibition hall and your hotel room and see a baseball game. Tickets are available at the stadiums, ticket agencies, or convenience stores. Baseball too tame? Take in a sumo match. There are six main tournaments throughout the year, plus more frequent sumo exhibitions. You can also visit a sumo-beya to watch a morning practice. Visit a Japanese pub called an izakaya. They are usually noisy, bright, and smoky. End your workday or start your night at an izakaya where you will find cocktails, sake, draft beer, and lots of inexpensive Japanese and Western food. Picture menus make ordering easy, and cocktails have the same names the world over. Near The Big Sight, try izakayas like Funacyuu, Gazen, or Hoozukiya. No tipping in Japan! The Japanese pride themselves on service and gentility. A service charge may be added for parties of six or more if you are eating at a large hotel or at a restaurant that caters mainly to tourists. 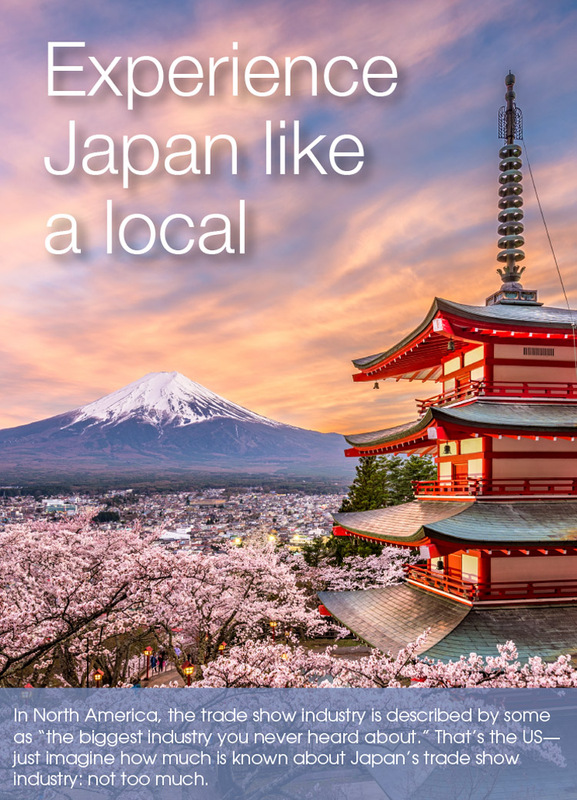 The entire country of Japan is in the same time zone and does not observe daylight savings time, so making plans is easy. The country is nine hours ahead of the GMT. At Idea International, we want you to experience our country like a local. We’ll be happy to give you suggestions. Watch for more tips on seeing Japan like a local in future newsletters. When you exhibit in Japan, working with a local company like Idea International is not only important for the quality of work we do but also for the depth of our knowledge about the exhibit industry—and about having a memorable time in Japan. 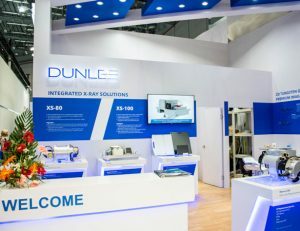 Healthcare exhibiting in the U.S. garners a lot of attention in the press, but the U.S. is not the only country with a robust healthcare trade show program. According to Exhibitor Magazine’s 2017 Going Global Report, the major geographic growth area in exhibitions is in the APAC region—and healthcare exhibiting is quickly becoming a major industry segment across the APAC region. In the APAC region, as in every other part of the globe, healthcare exhibiting is challenging. Regulations vary from country to country, and inspections are rigorous. Exhibitors can’t assume that what is approved for the U.S. healthcare market will be approved in Japan or China. The APAC region is also the ideal place to talk about science, even the science surrounding drugs not yet approved. The global audience that these shows attract is both a blessing and a curse: a blessing because products or at least the science have exposure to a vast market, a curse because of what can and cannot be said. For this reason, medical exhibitors coming to the APAC region for either one of the repeating shows or because a World Congress is being held in an APAC venue need to know what is okay in the country where the show is being held. Because of this, exhibitors rely on Idea International’s expertise in medical exhibiting. Here at Idea International, our healthcare work includes both pharmaceuticals and medical devices. Take, for instance, the repeating show ChinaMed in Beijing. ChinaMed is the international exhibition for a medical industry which provides a platform to showcase a wide range of products. China Med facilitates business networking, marketing, product branding, and services Educational sessions expand industry knowledge. This trade show is a perfect place to introduce the latest products and supplies to the important Chinese market. Another important show for Idea International is Medtec China. Held in Shanghai, Medtec has been a showcase for suppliers of medical design and R & D, raw materials, accessories, processing technology and manufacturing services to China’s medical device industry since 2005. Different from other medical exhibitions which focus on domestic medical equipment products and hospitals and terminal groups, Medtec China’s audience is global and comes from medical device manufacturers, including decision makers, purchasing staff, R & D engineers, product engineers and quality inspectors. China International Medical Equipment Fair (CMEF) is also held in Shanghai. CMEF, launched in 1979, is held twice annually – spring and autumn. After over 38 years of continuous innovation and self-improvement, CMEF has become the largest fair of medical equipment, related products, and services in the Asia-Pacific region. The fair widely covers 15,000 products such as medical imaging, IVD, electronics, optics, first aid, rehabilitation nursing, medical IT and outsourcing services, and it serves the entire value chain of medical devices from the source to the end in a direct and all-around way. 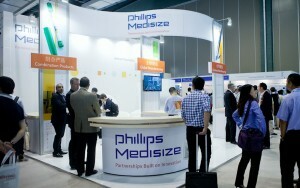 At each fair, almost 4,200 medical device manufacturers from over 28 countries, and about 120,000 people who are government procurement agencies, hospital buyers and dealers from over 100 countries and regions gather in CMEF for trading and exchanges; With in-depth professional development of the exhibition, CMEF has initiated conference forums and established a series of sub-brands in medical field including CMEF Imaging, CMEF IVD, and ICMD. Now CMEF has become the largest professional procurement and trade platform of the medical industry, the best corporate image release ground as well as a professional information distributing center and an academic, technical exchanging platform. In addition to these large repeating shows, the APAC region attracts many specialty World Congresses dedicated to diseases such as hemophilia or lung cancer. Idea International has helped many exhibitors at these Congresses bring their therapies to a global market. Part Two of a Two Part Series – Using technology in exhibits has many advocates but also gives rise to Chicken Little-ish naysayers who prophesy the disappearance of the personal interaction. To get a professional viewpoin ton the role technology can play at trade shows, Idea International interviewed Anne Trompeter, Principal, Live Marketing, on the subject. Idea International: What are the major advantages of using technology in an exhibit? Anne Trompeter: Technology can be a fantastic and relevant draw. It has the power to create interactive learning experiences with attendees. For instance, large equipment manufacturers can create a virtual experience that eliminates the need to bring a piece of heavy equipment to a show. Technology can help create an unexpected brand experience. Every industry has legacy companies that have been around for, say, a hundred years. 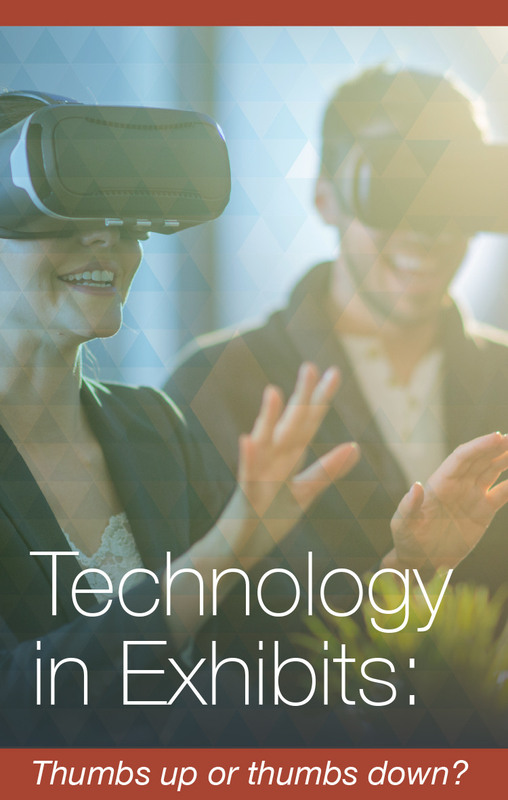 Technology can help readjust the attendees’ perspective about these companies, as in, “Wow, this is a cool experience!” Technology can provide new brand attributes, something attendees wouldn’t have previously associated with the company. Idea International: What are the biggest stumbling blocks to using technology in exhibits? The other stumbling block is that someone in the company sees something they’re excited about, and they want to do it in the booth. But it’s not appropriate for the message or the design. Figure out a way to capture the spirit of the technology: what was exciting? What did you think might work? Technology has to be appropriate. You must build in enough time to develop it and, when necessary, get approval from regulatory bodies. Idea International: Are you aware of any cultural issues that exhibitors should keep in mind when using technology? Anne Trompeter: You have to be hyper-aware of the audience when you are preparing language, text on a screen, lifestyle photos, and so on. We always advise exhibitors to work with companies in the region where they are exhibiting—for instance, a company like Idea International. The wrong cultural nuances can destroy an experience. Idea International: Have you found that technology can provide scalable solutions—e.g., something developed for a trade show that can be used to sell in the field? Anne Trompeter: For sure! And this connects to the idea of getting buy-in to develop a technology experience. If you are creating an interactive tool for messaging, create a tool that’s powerful on and off the trade show floor. A good experience for attendees can also be good in the field. Create an interactive sales tool that works on the show floor and in the field. Idea International: If feasible, have you seen companies where development costs are shared across budgets? Anne Trompeter: Budget sharing is a best practice. The event department pays for part of the engagement tool, but then different business groups kick in as well. It really helps to have different departments with skin in the game. They get involved with the project, they care about it, and sharing it across multiple entities in the company means that the technology project is much more likely to be a success. Idea International partners with some of the best of class technology companies and can help you initiate a project or implement one that was designed for you domestically. We would love to discuss possibilities with you! Part One of a Two Part Series – Using technology in exhibits has many advocates but also gives rise to Chicken Little-ish naysayers who prophesy the disappearance of the personal interaction. To get a professional viewpoin ton the role technology can play at trade shows, Idea International interviewed Anne Trompeter, Principal, Live Marketing, on the subject. Idea International: There is controversy over the use of technology in face-to-face marketing. In your opinion, does technology detract from the in-person experience? Anne Trompeter: Much depends on the design of the technology. The best technology complements and integrates with the rest of the experience. Certainly, it detracts if it hasn’t been thought through or doesn’t help tell the story the exhibitor wants to tell. Technology has to support whatever else is going on. It can guide the attendee experience and foster understanding of the goal of the exhibit and the exhibitor’s message. Idea International: Are attendees more inclined to embrace technology—or to seek out a person to talk to? Idea International: How should staff be trained to use technology to enhance the attendee experience? 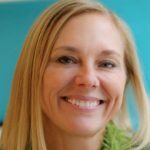 Anne Trompeter: If an exhibitor is introducing a technology-based engagement at a trade show, the staff needs to be brought up to speed and to understand their role. They need to know the dollars spent on technology will result in a good ROI. For optimal results, introduce the staff to the technology and the exhibit design, say, four weeks in advance. Let them know the technology will enhance engagement. Sell it to them. Allow them time to get their minds wrapped around using technology so when they come to the pre-show meeting, they’re ready. Show them demos. If professional facilitators will lead attendees through the experience, introduce those people to the staff and define roles: who will do what in the exhibit? Idea International: What are some ways to use technology in an exhibit that can provide value to attendees? Anne Trompeter: The attendees’ time is limited. Their goal is to learn, and technology can help them grasp the value of the product or solution in the exhibit. Moreover, they are eager to learn in an interesting way, and technology gives them the experience they are looking for. Many attendees are really very geeky and are especially excited about cutting edge technology, like new ways to use artificial intelligence (AI) or applications of virtual reality (VR) they haven’t seen before. 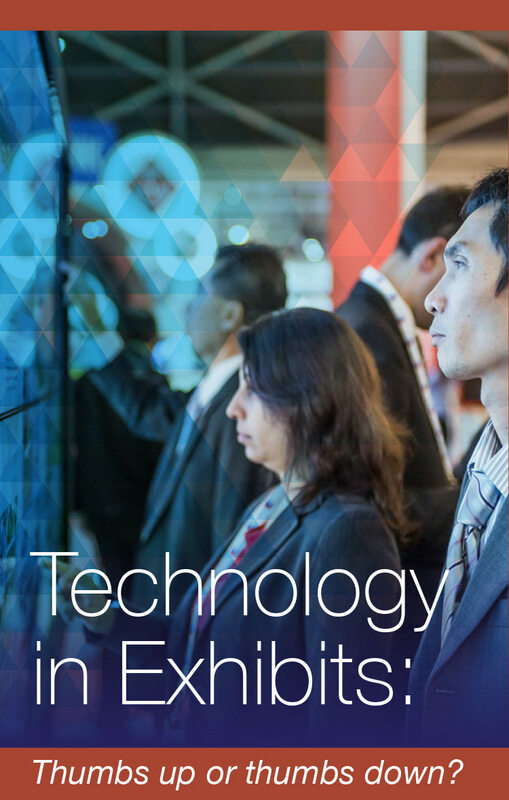 Personalize the technology experience so it feels relevant to the attendees. For example, in healthcare, exhibitors are using technology to foster empathy between doctors and patients. And keep the experience brief! Idea International partners with some of the best of class technology companies. We take your programs, digital media, or other technology applications and make them an integral part of your APAC region exhibit, no matter where they were developed initially. We would love to discuss possibilities with you! Healthcare exhibiting is growing steadily in China, Japan, Australia—for that matter, throughout the APAC region. If your schedule includes a healthcare show in our part of the world, Idea International is the perfect partner for you. The APAC region has become the new go-to destination for many global world congresses in the healthcare field. In particular, large specialty meetings focusing on specific diseases find that when the congress is held in the APAC region, attendance soars. With the construction of new convention facilities, the APAC region is competing head to head with Western countries and having significant success. Moreover, many healthcare professionals are attracted to the possibility of experiencing new cultures and cities. The APAC region is the fastest growing trade show market in the world. As European markets become less predictable, show managers, associations, and planners are looking to cities such as Phnom Penh, Manilla, Yangon, Colombo, and Saigon. For example, the Asia Pacific biopharma development and production industry is growing rapidly and continues to evolve. The increase in adoption of innovative technology and investments in sophisticated R&D, coupled with higher manufacturing output, are shaping to be the central tenets of the industry. Many of these congresses are held in Singapore, where there has been a steady marketing effort to attract medical meetings. It is also an English-speaking country, which is attractive to attendees and speakers alike. At many of the healthcare congresses and conferences in the APAC region, exhibiting and sponsorships are intertwined. And since many of these events are produced by only a few major organizers, local contacts are beneficial, to say the least. And that is where Idea International can be invaluable. We understand the unique negotiating environment in countries such as India, China, and Korea. We facilitate transactions for you, and we protect your budgets. A large percentage of Idea International’s clients come from the healthcare industry. 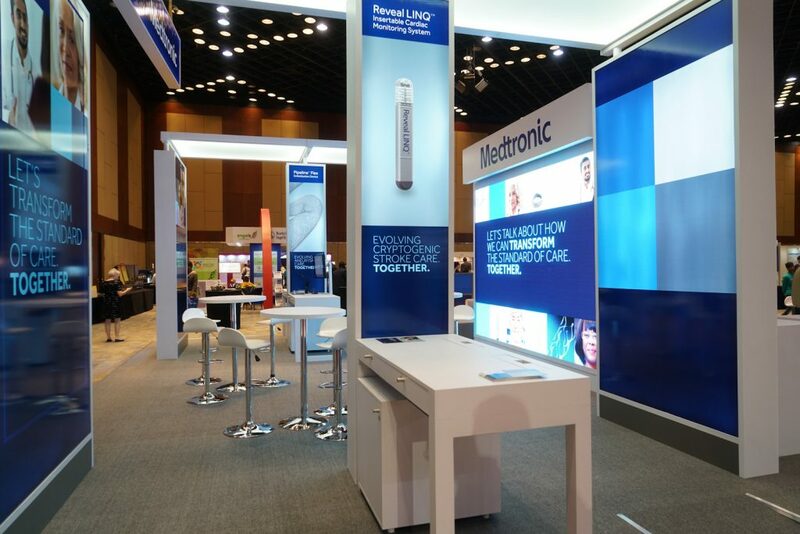 Companies like Baxter, Medtronic, Chugai, and Terumo trust their exhibit programs to us. 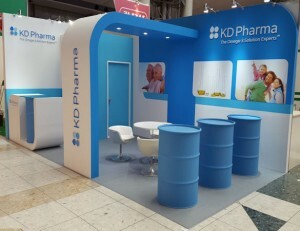 We work directly with healthcare exhibitors and also through their domestic exhibit houses. The fact that many of the world’s most innovative healthcare companies not only trust their programs to us but continue to do so, year after year, show after show, is very important to us. 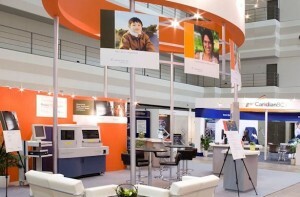 Healthcare exhibiting tends to be more complicated than other types of exhibiting. The chief concern is compliance with local regulatory bodies. At Idea International, we are used to regulations that change from country to country in the APAC region—and sometimes from city to city. Particularly in the APAC region, new mandates are a regular feature since previously, not many regulations and guidances existed. The rules are aimed primarily at the appearance of quid pro quo situations and non-compliant promotion. Idea International understands this, and we work not only with your domestic exhibit partner but also with your internal product team and your legal and regulatory departments. As the number of healthcare congresses continues to grow in the APAC region, it is critical that you be prepared to take advantage of these new, expansive markets. Although we can work on tight time frames, the optimal situation is to review your show schedule together and see how we can help you—just as we have been helping other healthcare exhibitors for almost 15 years. When you think of New Zealand, what comes to mind? Perhaps it is Mt. Victoria and the amazing terrain that provided the backdrop for the Lord of the Rings trilogy. Perhaps it is something more mundane such as the country’s well-known reputation for fine wool. However, you probably don’t immediately associate New Zealand with conventions and business events. And there you might be surprised. Business events continue to be a high-value sector of New Zealand’s visitor economy, with new statistics showing that convention visitors spent more than one million nights in New Zealand last year. New Zealand’ Ministry of Business, Innovation, and Employment recently released the results of a survey called the Convention Delegate Survey. This survey shows that the number of business travelers coming to New Zealand for conventions and conferences rose to 66,000, up from 63,000 in 2015. Approximately 1,005,000 hotel nights were booked by multi-day convention delegates, who spent an estimated $588 million in 2016, up from $472 million in 2015. Domestic delegates accounted for $316 million, local delegates spent $141 million, and international visitors spent $131 million. The striking feature about these numbers is that while New Zealand continues to attract domestic and local attendees, international trade show delegates are showing up in significant numbers. Conventions and Incentives New Zealand (CINZ) chief executive Sue Sullivan said the high number of domestic delegates reflects a strong New Zealand economy. “Companies are investing in educating their teams, and domestic conference attendees are providing a boost to regional New Zealand,” she said. With the expansion of the business event market, Air New Zealand is expanding its digital travel retail experience with a new Expedia partnership, giving customers discounted hotel rates when they book their flight and room together on the airline’s website. Air New Zealand chief digital officer Avi Golan said the partnership brings together two digitally-forward companies. “We’re continually looking at how new technology can radically simplify travel planning, giving our customers enhanced choice, convenience, and a more personalized experience,” said Golan. 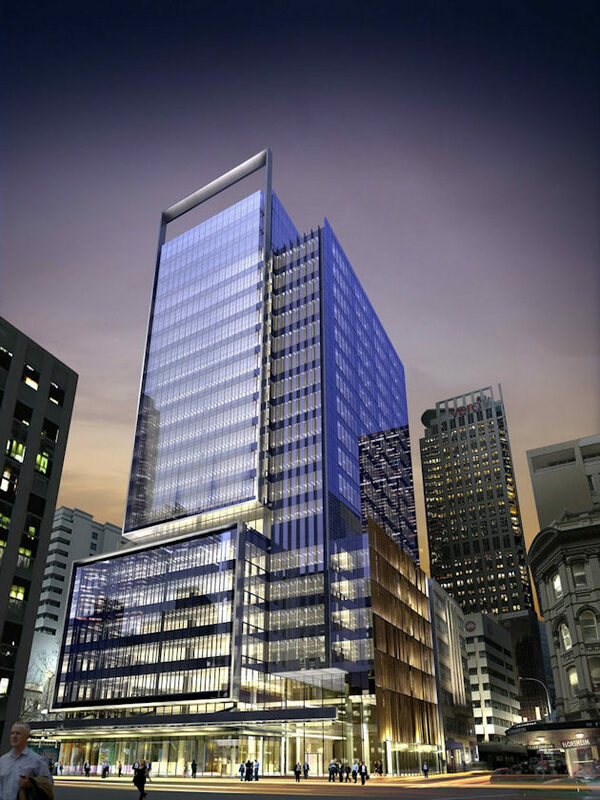 And in response to the growing demand for hotel rooms, Marriott International will debut its Four Points by Sheraton brand in Auckland in late 2017. Marriott’s manager of development, Australia, NZ and Pacific, Maria Verner said there is huge potential in New Zealand, “where demand for new hotel rooms continues to grow. With occupancies and room rates at a record high, it’s a thrilling time to be investing in this market,” she said.